One of the best hotels Costa Rica has to offer is definitely the four seasons in the province Guanacaste. 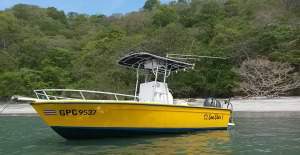 In northwest Guanacaste, on Peninsula Papagayo to be exactly. 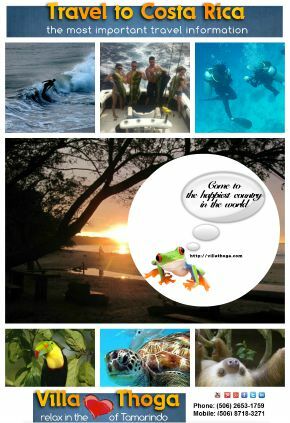 Only a 45 minute ride from Liberia, the capital of Guanacaste. IMPORTANT RECOMMENDATION: Don’t buy the overprized tours from your hotel! Take advantage of our captain direct rates. 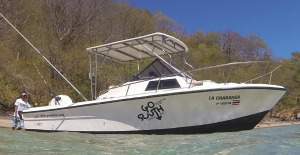 We show you on this page the best boats that are available in this area. And you will never pay a Dollar more than you would pay directly from a captain!! In the four seasons area (Playas del Coco, Playa Hermosa etc.) we work with the best, licensed captains and their crews. 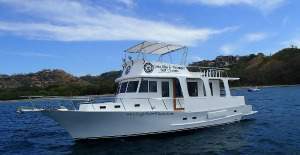 You can choose between 6 high class fishing boats to experience an unforgetable fishing trip. Don’t worry, we pick you up directly from the hotel beach. 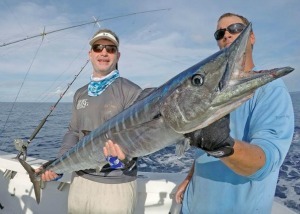 All the captains have great experience fishing in this area. 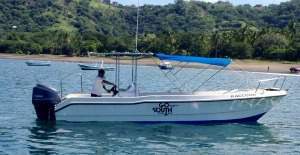 All our deep sea fishing four seasons Costa Rica charters provide a high quality fishing experience for people of all ages. 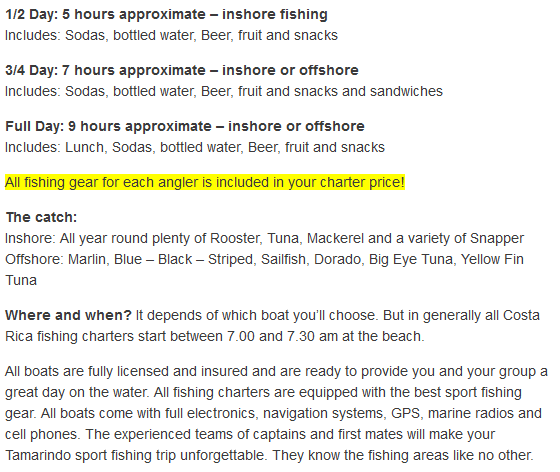 26 ft Robalo – Up to 5 anglers | Prices are per boat not per angler!